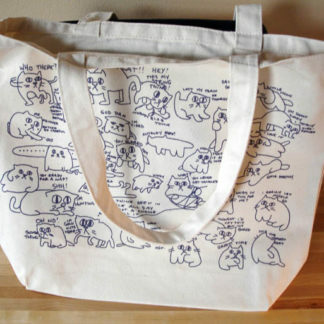 View cart “The Cat Tote” has been added to your cart. The first wearable doodle produced by Wandering Albatross Press, our cat tote features a silly design of cats, doodled at their most candid moments. Silk screened on 10 oz. canvas, these totes are stitched for strength. The tote measures 18 inches wide and 15 inches high, and the 5-inch depth between sides means you can fit even the largest library books inside. 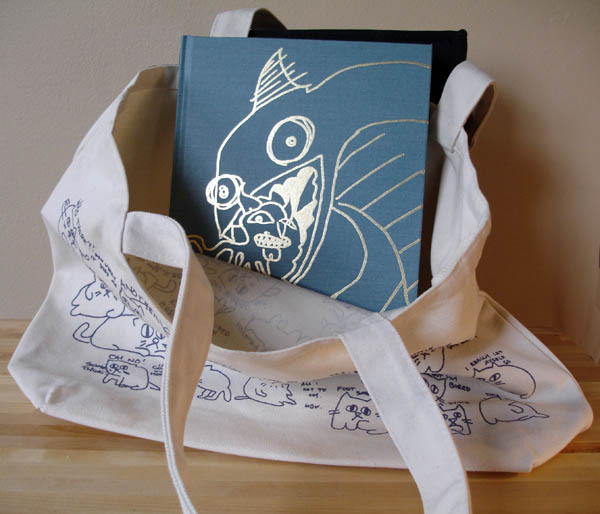 The tote handles are 1 1/4 inches wide and 23 inches long. 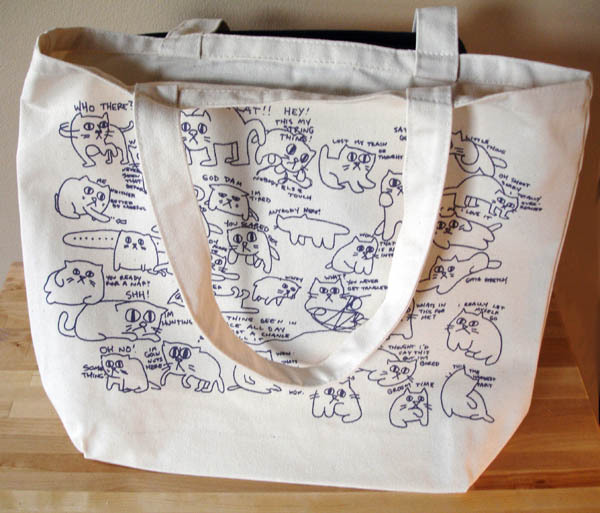 The cats are printed on one side of the tote; the reverse is blank. Canvas. 18 x 15 x 5 inches. Made in the USA.